Tamarind is located in Hong Kong providing full support sales and design functions to our factory based in Hangzhou. Our factory is the SEDEX members, we has completed the compliance audit (SMETA) done by TÜV Rheinland and have our own inspection team on site in providing excellent quality control service on a wide range of products. Tamarind was founded in 2005 and has more than a decade of experience in manufacturing on a wide range of woven and knitted softgoods. 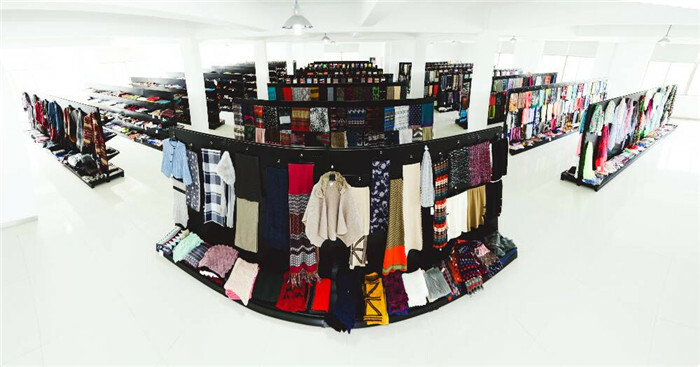 We specialize in producing scarves, ponchos, wraps, hats and gloves including digital printing, silk-screen printing, novelty fabrics, yarn dyed, dip-dyes and solids. We are proud to brand ourselves as a one-stop shop which caters for personalized customers' requirements. We provide product manufacturing service in two approaches, OEM and ODM. Our product development and production teams will work with you in understanding the brands strategy and creating styles that best fits commercially. Tamarind is committed to providing you the best services by utilizing our knowledge and experience in product development and production. We aspire to be your partner of choice.